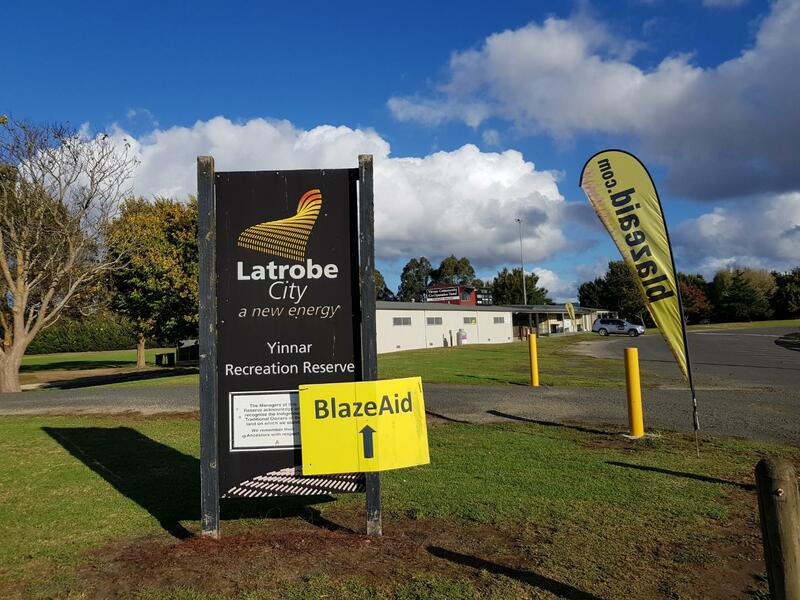 Yinnar 2019 | BlazeAid volunteers rebuild fences after fires, floods, drought and cyclones. VOLUNTEER text Jainee when you are arriving please. MUSTER: 7:30am Safety Talk Mandatory for all volunteers working that day. **If you are volunteering for a day at a time then returning home, you MUST be at our basecamp no later than 7:15am each morning and we MUST know that you are coming.